Mix everything and microwave for 25-30 sec. Don't overcook it or it will be dry! 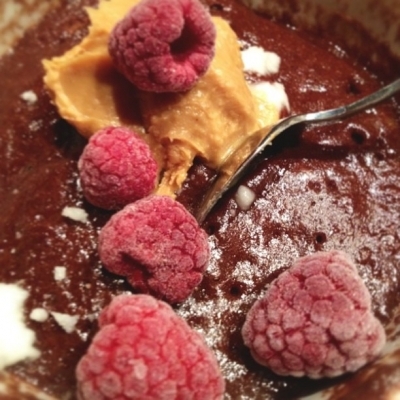 I topped it with raspberries, peanut butter and some coconut butter, yum! !